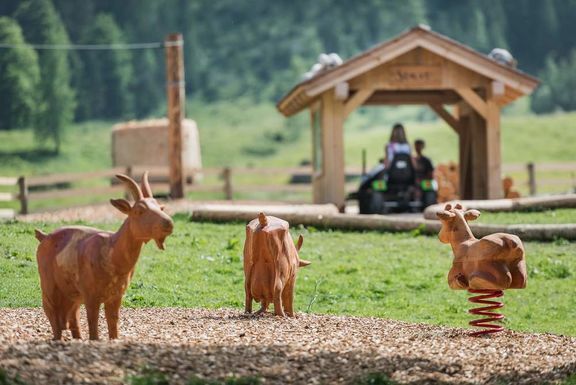 At the small petting zoo, children can watch rabbits and dwarf rabbits and get to know them. 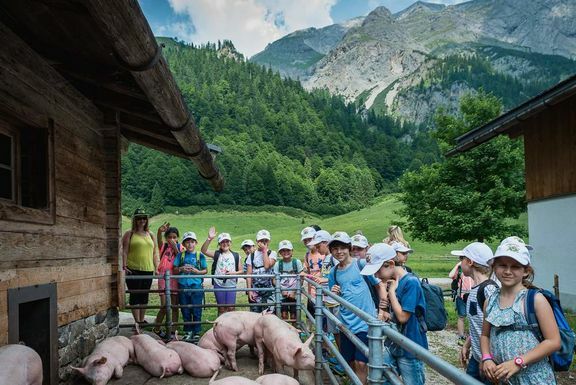 With child-friendly hikes in the company of the landlady of the house, children thrive and learn a lot about nature and flower diversity. 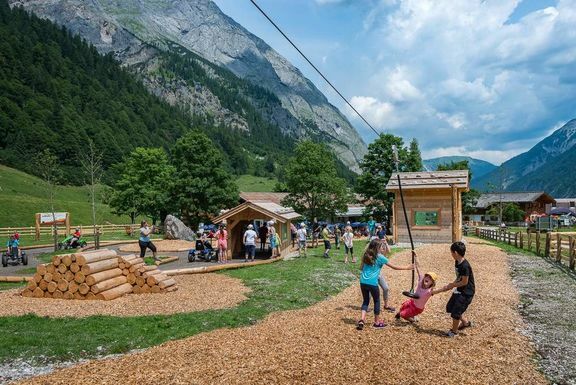 The outdoor playground with a sandpit, swings, climbing root, slide, wheels and other attractions, offers plenty of space to play. 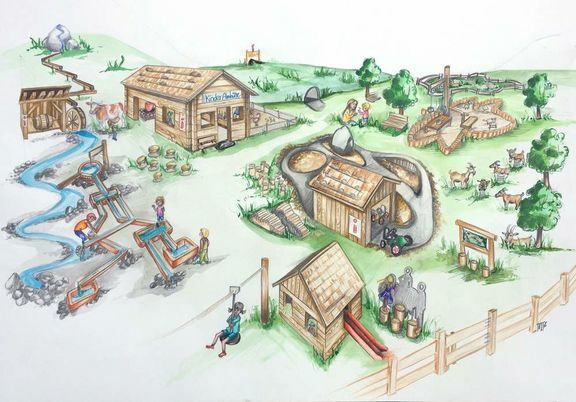 In the newly designed playroom children can paint, make handicrafts, build towers, set up a railway, watch movies, listen to music and much more. 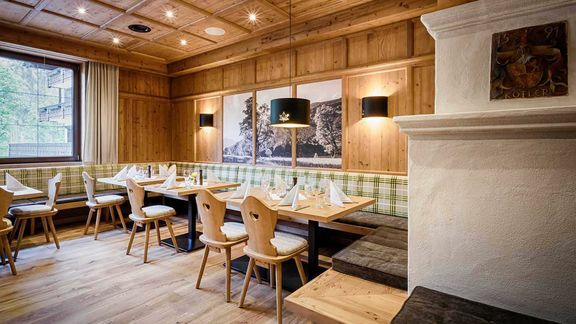 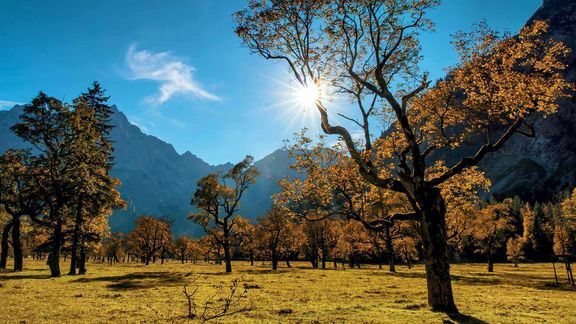 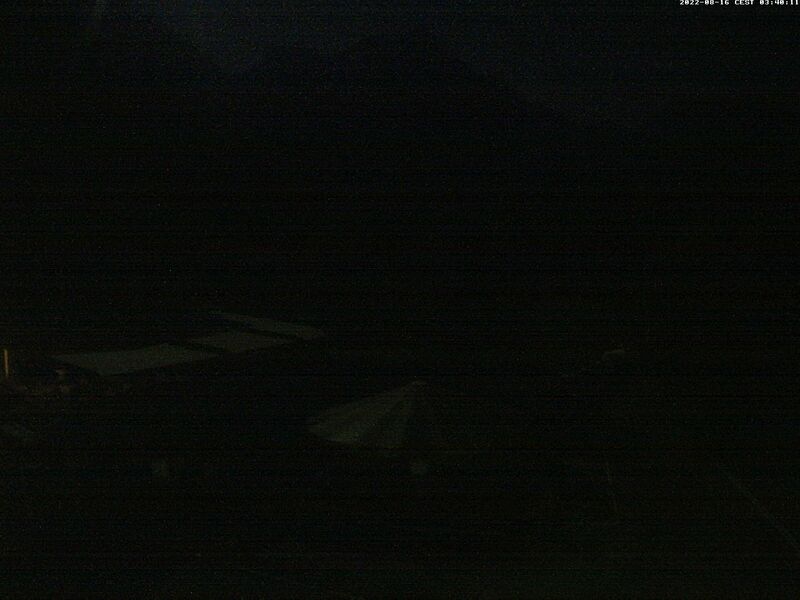 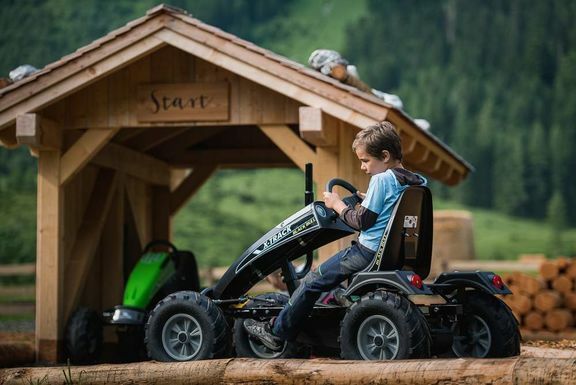 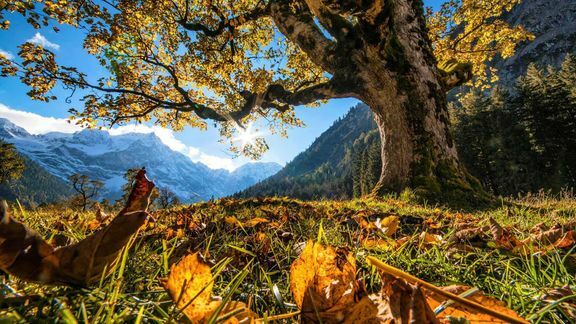 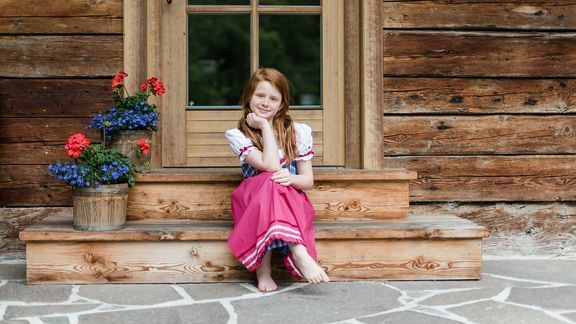 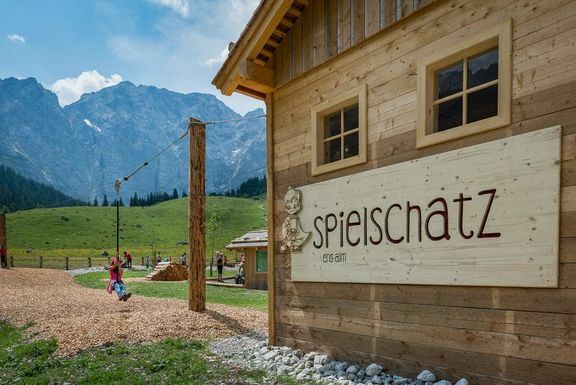 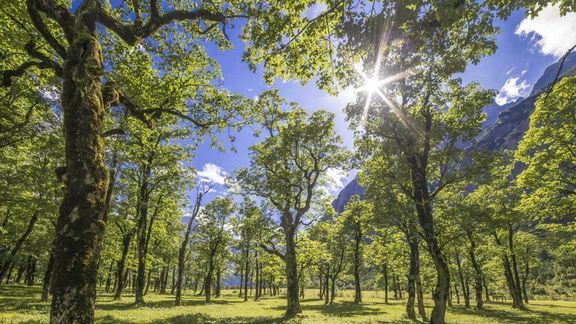 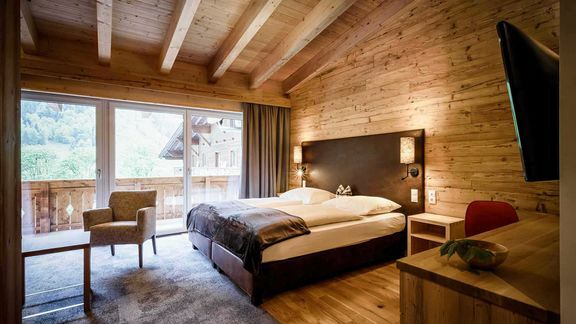 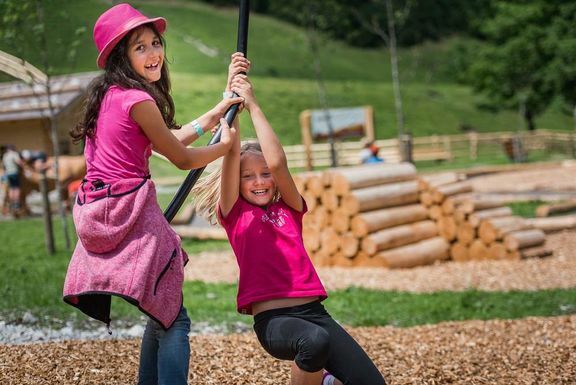 In the middle of the Karwendel Nature Park, one of the largest nature parks in Austria, there is Spielschatz Eng Alm, which makes the cultural heritage of the Silberregion Karwendel - the world-famous Ahornboden - as well as the life on the Eng Alm for children special and unique. 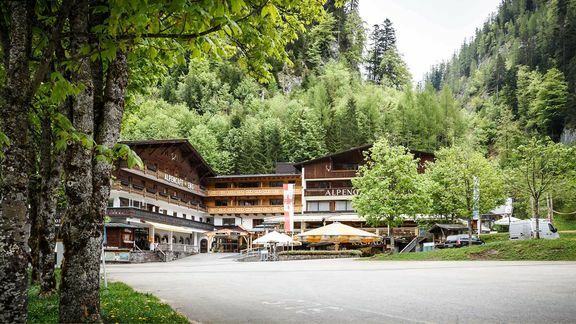 Spielschatz Eng Alm lies on an area of 2200 square metres. 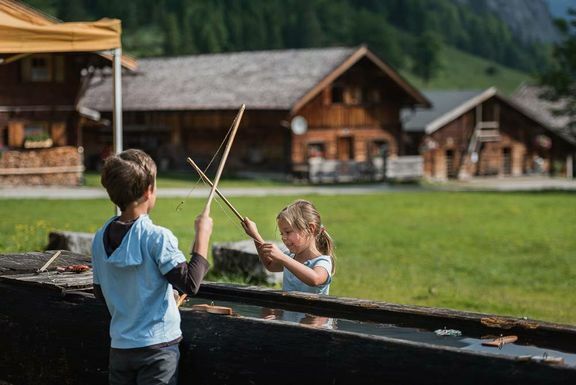 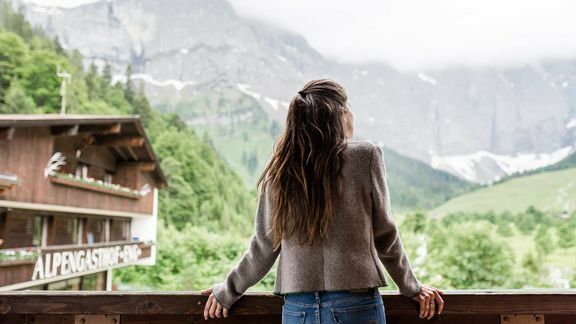 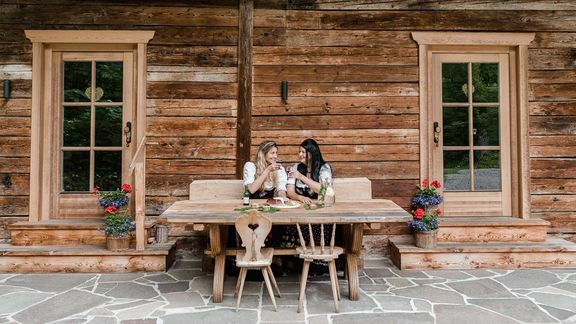 Experience and discover the alpine hut with a barn and dairy, the Heustadl with material cable car, as well as the water wheel driven churn in a small format. 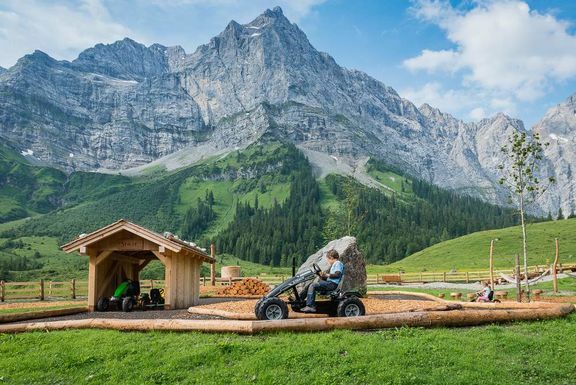 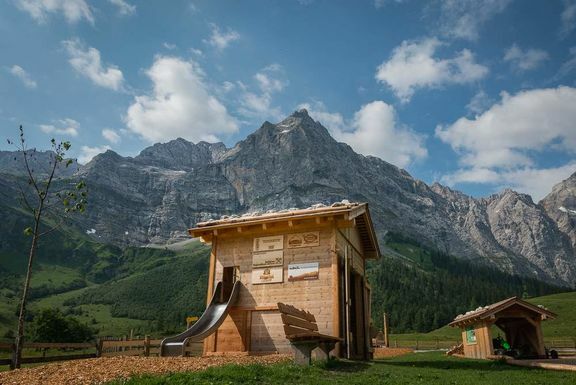 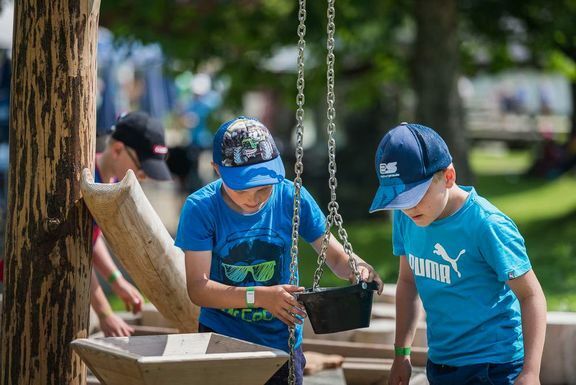 There are various natural play areas around the huts, which have a strong connection to the past alpine life and to the typical alpine products. 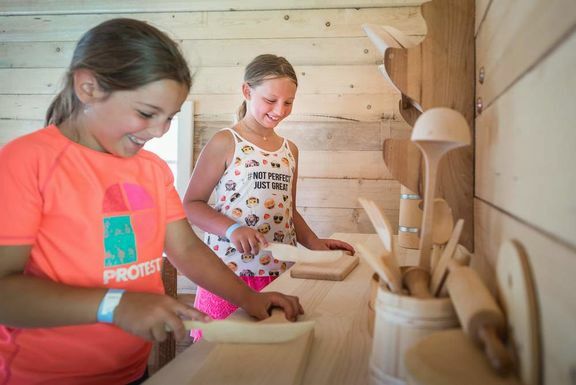 The attention to detail in each station is unique.